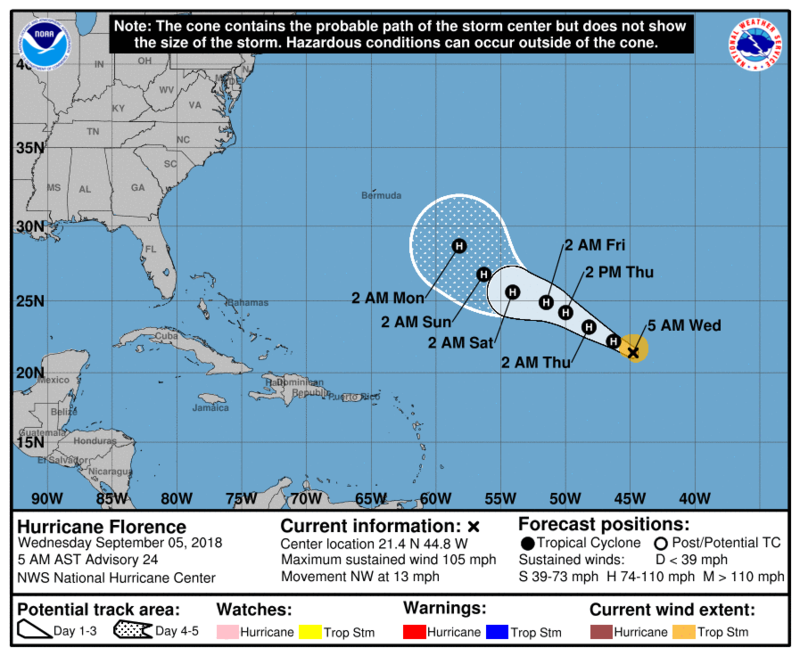 Florence has become the first major hurricane of the 2018 Atlantic hurricane season with winds of 120 mph. This storm will need to be watched next week for potential impacts to Bermuda or the eastern US seaboard as some reliable models have trended that way. 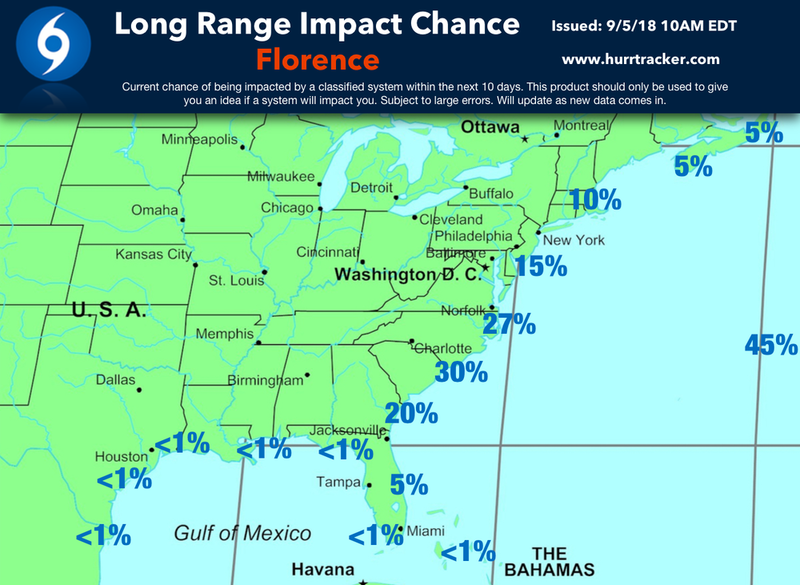 It's important to note that Florence is over 7 days away from any potential impacts. Stay tuned to the Hurricane Tracker App for the latest data on Florence.